Based on our double fan stand comes a new way to keep blowers & fans off the ground,accessible, and easy to move. 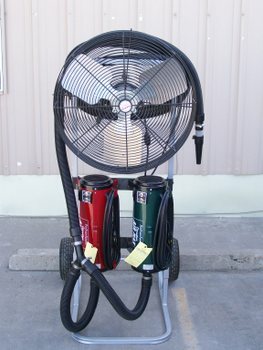 Easy to convert your existing fan cart to a dual blower cart / fan cart with our coversion kit. 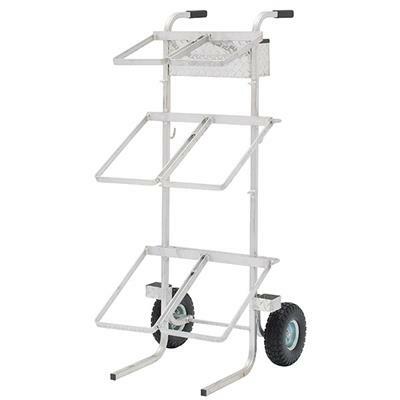 An excellent fan cart made out of painted steel with 10" wheels for easy transport. 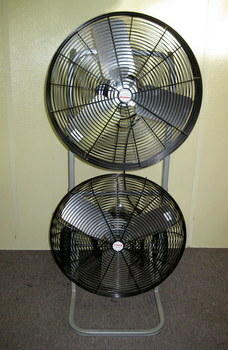 Will accommodate two 24" fans. Make moving your chest show box as easy as an upright. 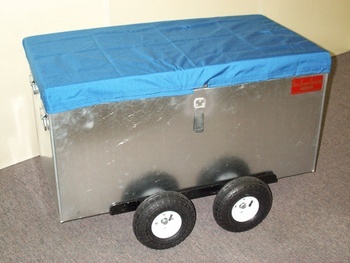 Adjusts to fit box width 21" to 30"